The script is assuming that the ILIO appliances are not connected to the internet so the packages (the redistributables) are included in the download. Each product + version is a separate appliance, the version of some packages (like perl) differ. Therefore different versions of net-snmp are installed. If you have a newer version and the script doesn’t work, please run dpkg –l and mail me the output. The benefit of including the packages in the script is that it’s fast(er) and an internet connection is not required. The downside is that if Atlantis updates their appliances with a different Linux of Perl version, the script might need to be updated. A default configuration is applied allowing all machines to query only system and hrSystem group data using the community string public (default). The configuration is stored in the snmpd.conf file (see examples) included in the download. to set the community string to mysecret and only allow host 10.0.0.1 to query the appliance. If you want to retrieve additional information, like processor, disk or memory usage, you might want to remove -V systemonly. 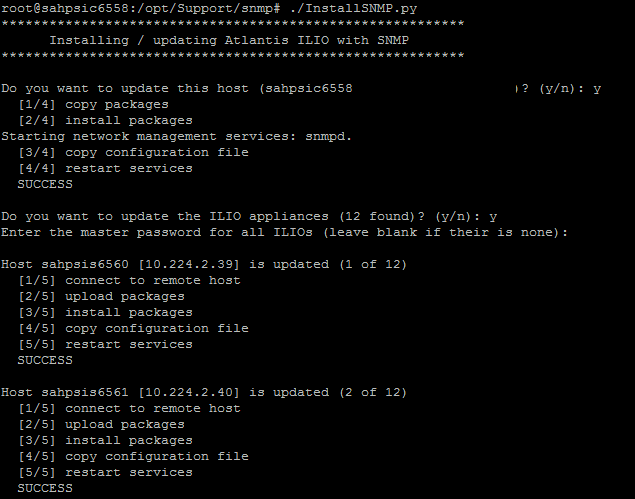 The script is build so you can easily push the new configuration to your ILIO Center, Session- and Replication hosts. 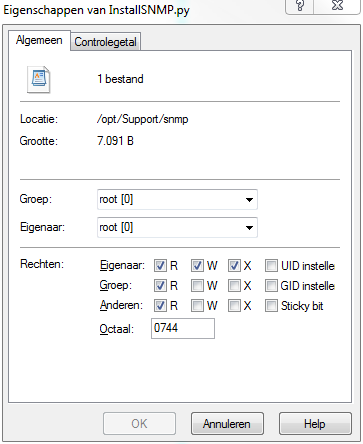 To use the script you need to upload the content of the archive (for download see the bottom of the article) to your ILIO Center machine using SCP (for instance WinSCP). To run the script you need to setup a terminal session via SSH and execute the InstallSNMP.py script. 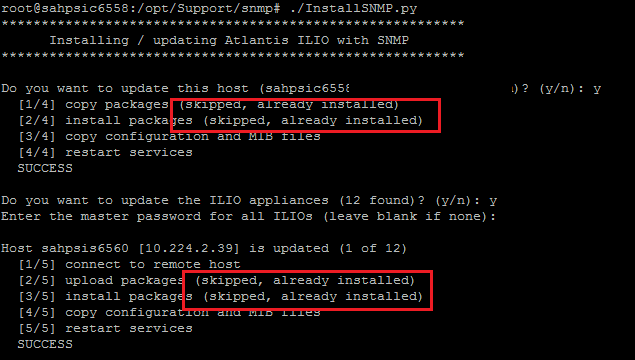 On execution the script will first ask you if you want to install (or update the configuration of) SNMP on the ILIO Center machine. Next it will ask if you want to update the other ILIO hosts (Session- and/or Replication hosts). If yes, the script will ask for the master password. If you don’t have a master password (the passwords are not equal for all hosts) just leave it blank, the script will ask for the password for each host. As mentioned in the previous chapter, in case SNMP is already installed (and running) the installation is skipped and only the new configuration is applied. If you have trouble with mounting the ILIO NFS Share. [RPC timeout issues, etc] and monitoring does not help out in any ways. 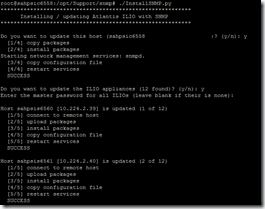 Upgrade the VMWare Tools on the ILIO Linux VM to the latest Version. The integrated Tools might be out of date. As VSphere 5.5 is out it is a good idea to use that. Now thest the NFS mount from within another *nix Box [I used SOLARIS]. Just a note to say that we now have an SNMP add-on module that allows you to configure SNMP on each appliance. 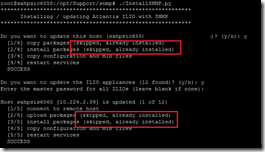 The SNMP add-on includes an Atlantis ILIO specific MIB. You can get/set/walk with this configuration. It is available for ILIO appliances that run on XenServer and Hyper-V too. I highly recommend the Atlantis add-on module instead of my (unsupported) attempt described in this article.